This afternoon, former governor and current U.S. Senate candidate Tim Kaine met with Richmond area students and parents to discuss his strategies for the future of higher education. During the forum at the Visual Arts Center of Richmond, Kaine expressed his strong commitment to increasing the accessibility and affordability of higher education and spoke about the importance of two-year college, four-year college, and career/technical training in creating the “talent economy” that is central to his approach to strengthening the economy and creating jobs. 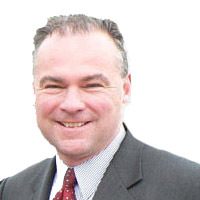 Following the event, Kaine praised congressional leaders for their progress toward a resolution to prevent the doubling of interest rates on Stafford student loans and urged swift passage of the compromise before the June 30 deadline. The doubling of Stafford student loan rates would affect more than 177,000 Virginia students. Kaine also contrasted his record and approach to education with those of his opponent, George Allen. As a senator, Allen was a critical vote for the largest cut to student financial aid in the nation’s history and voted to preserve tax giveaways to oil companies at the expense of tax deductions for students.